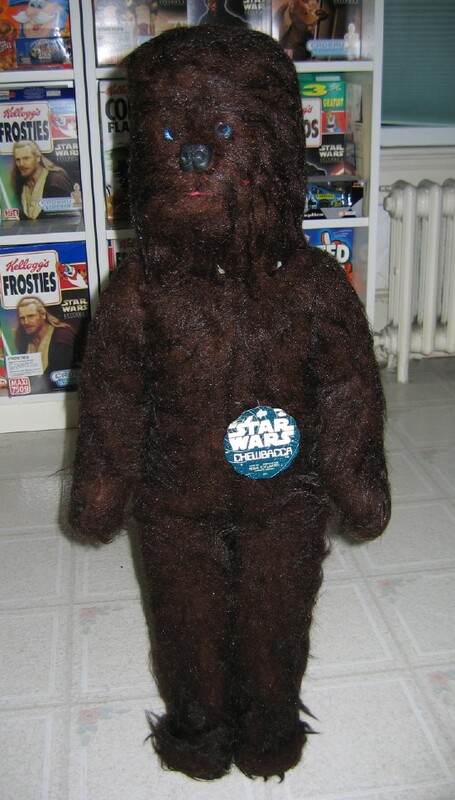 This is a prototype for the large size plush Chewbacca store display issued by Regal Toys in Canada in the late 1970's. It is hand made and constructed in a completely different style and scale than the production store display. 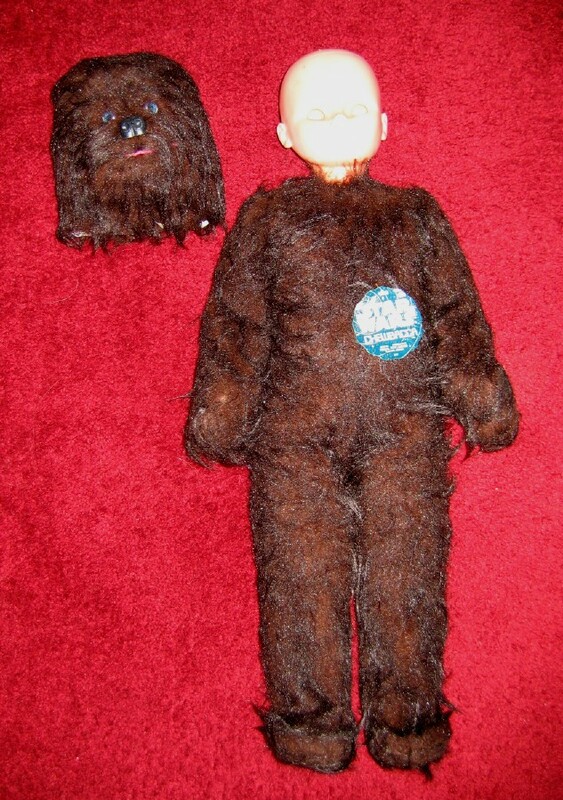 What is particularly interesting about this prototype is that it's actually a doll in a Chewbacca costume. 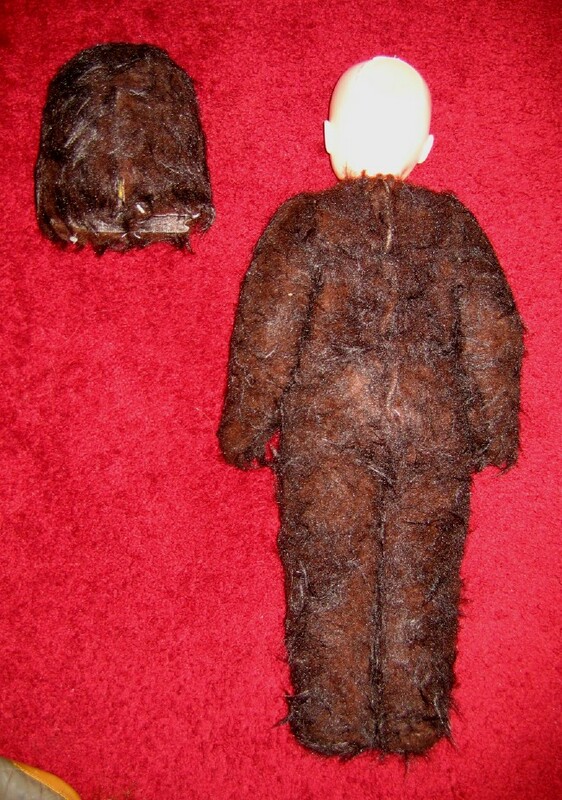 Regal/Kenner used a large size doll body and created a hand-made outfit to give the form of the Chewbacca plush toy. 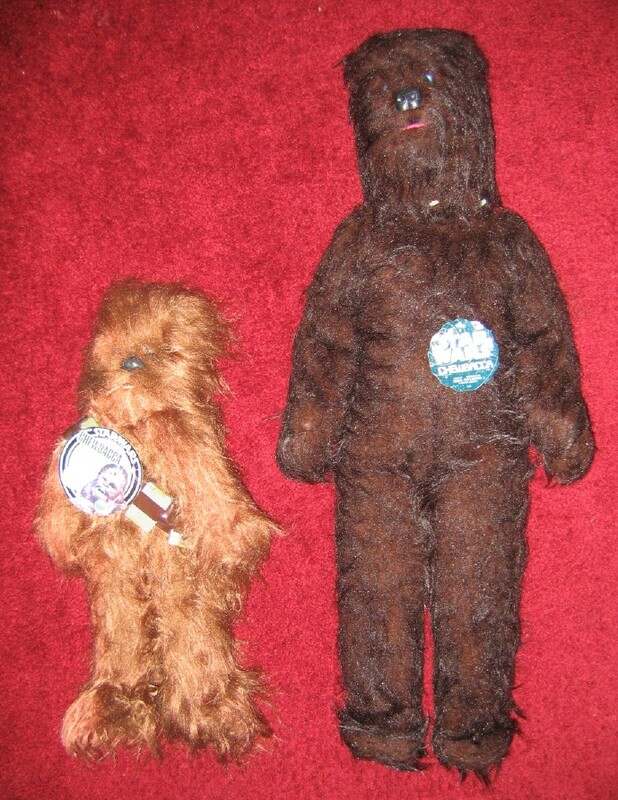 In comparison to the production Chewbacca plush toy, the prototype Chewie display is twice the size. 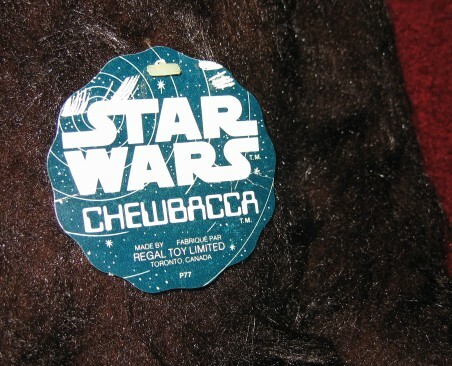 A closeup of the tag reveals it is the same tag used on the large Chewbacca store displays. Note the Regal Toys Limited mark on the bottom. 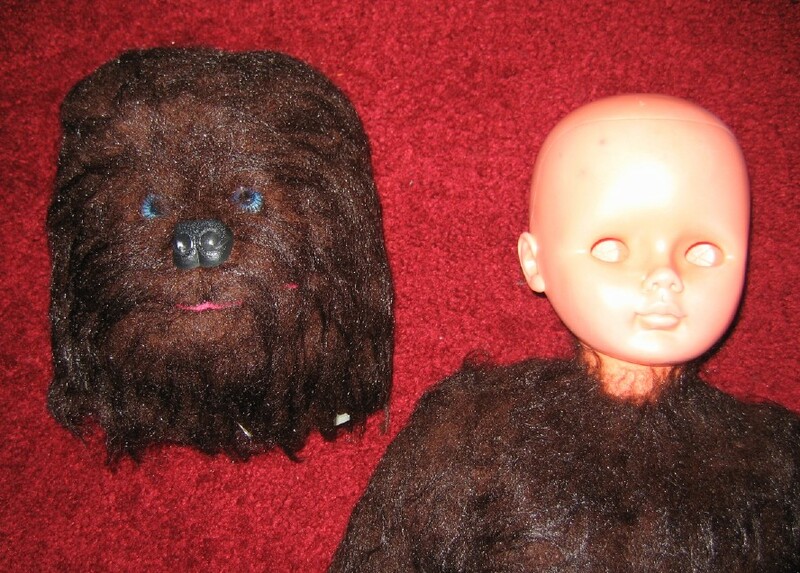 These front and back shots show the Chewbacca costume on the doll body. 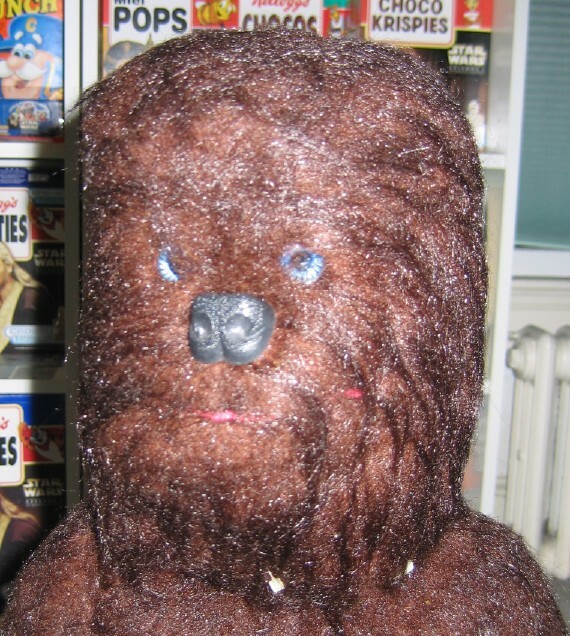 The head slips on the top like a small mask with embroidered details in the face and styrofoam on the inside to form Chewbacca's face.